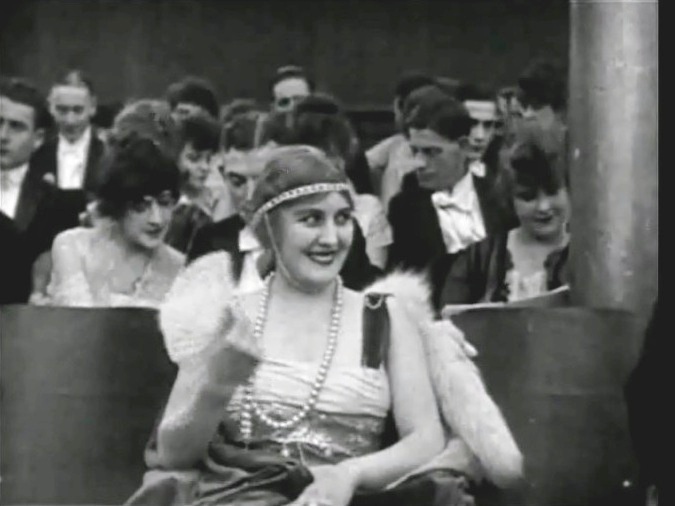 "A Night in the Show" is one of Charlie Chaplin's Essanay short comedies, featuring Edna Purviance, a star of Silent Hall of Fame. 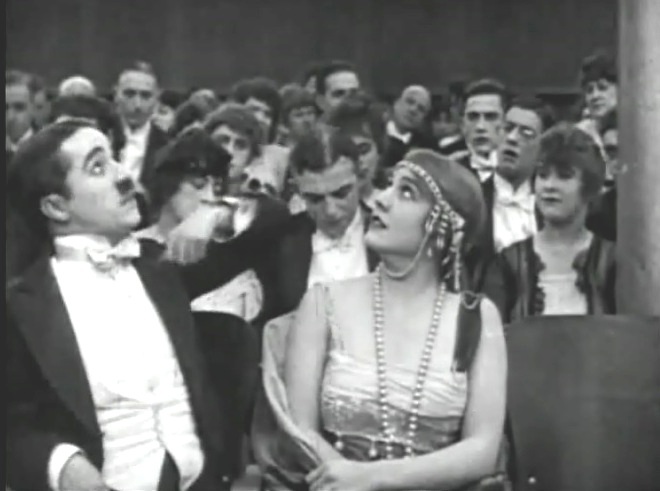 Edna Purviance looks at Charlie Chaplin in "A Night in the Show" (1915). 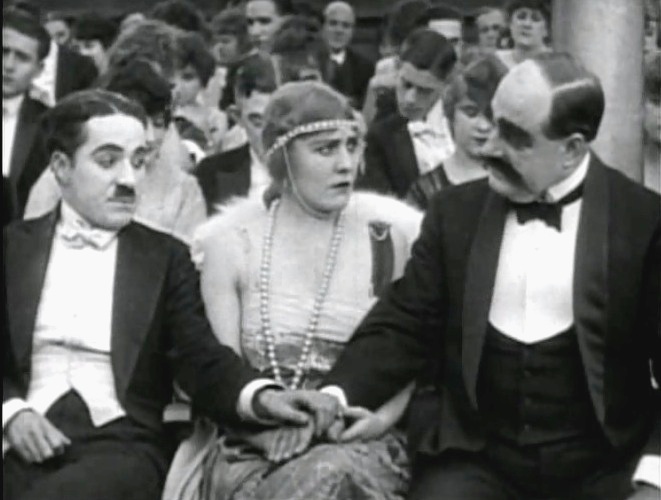 Edna Purviance checks out Charlie Chaplin again in "A Night in the Show" (1915). 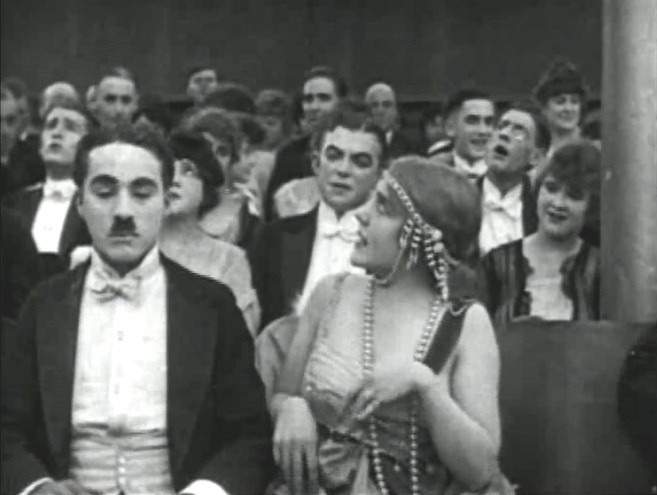 Edna Purviance seems to like Charlie Chaplin in "A Night in the Show" (1915). 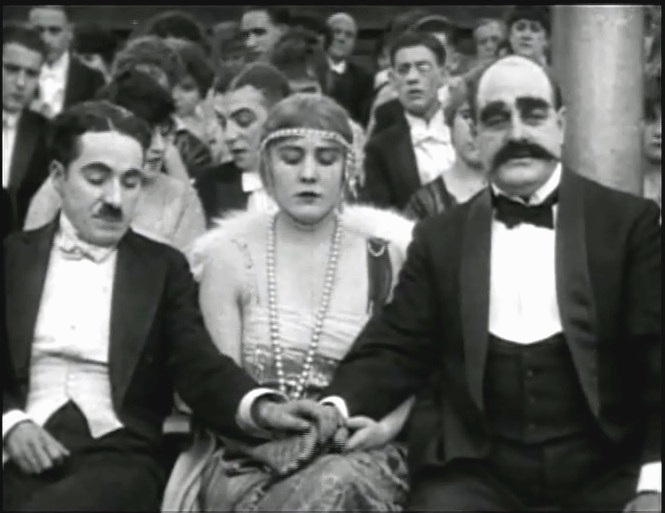 Edna Purviance looks on as Charlie Chaplin and another man hold each other's hand in "A Night in the Show" (1915). Edna Purviance looks at Charlie Chaplin's side of the triangle in "A Night in the Show" (1915). 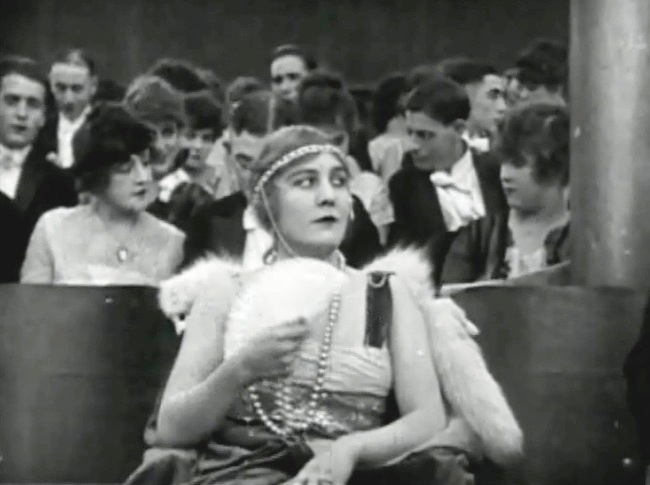 Edna Purviance looks at the other man's side of the triangle in "A Night in the Show" (1915). 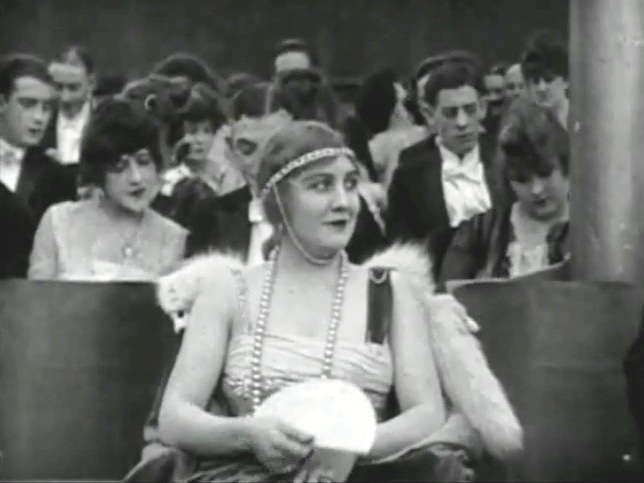 Edna Purviance looks at the upper gallery as Charlie Chaplin gets a sprinkle in "A Night in the Show" (1915). Edna Purviance and Charlie Chaplin don't enjoy the sprinkles in "A Night in the Show" (1915).